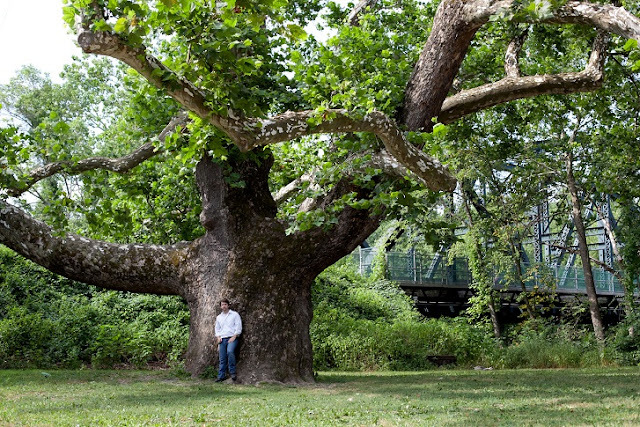 August 30, 2012 — We have always anthropomorphized trees. 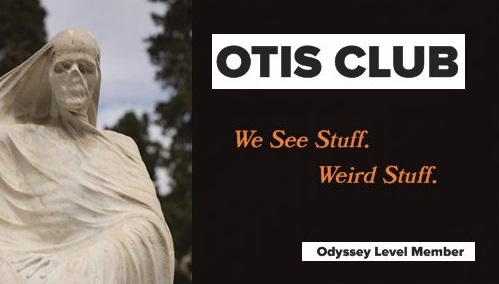 Our myths and stories are full of tall, barky organisms bestowing on us their oracular wisdom drawn straight from the soil or attacking us in nightmare forests with pointy limbs. When, out in nature, you come face-to-trunk with some of the more massive, ancient, and gnarly of the species, it’s really easy to see why we do that. 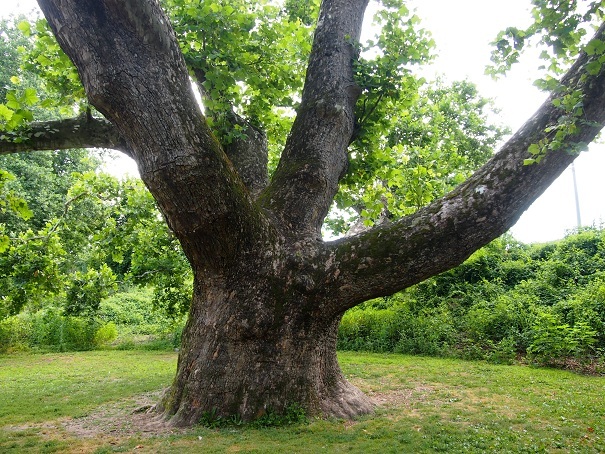 At least, that was my experience a couple of months ago, when I made a quick jaunt down into Connecticut to see two such specimens that should have eyes and mouths carved into their trunks, the Granby Oak and the Pinchot Sycamore. 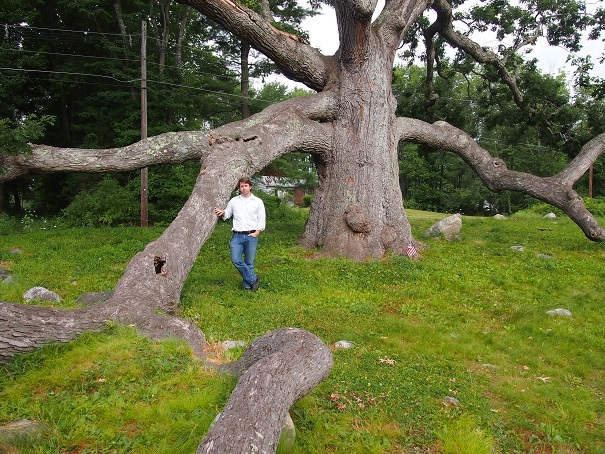 The Granby Oak is a white oak and can be found in the town it’s named after, in a small plot of cleared land the size of a house. It’s directly on and overshadows the residential Day Street, so much so that tall trucks passing through have damaged its limbs in the past. 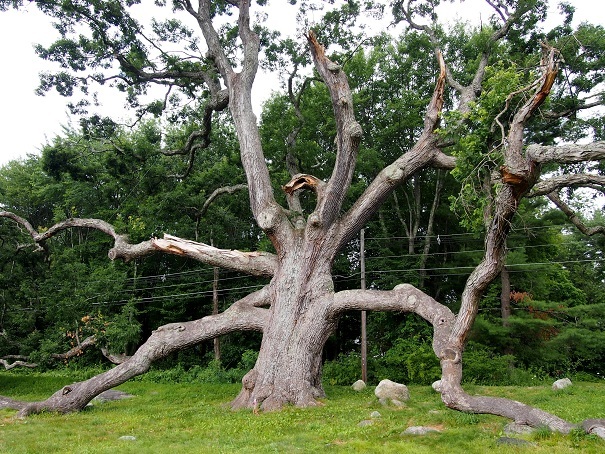 The 450-year-old, 80-foot-tall monster is also called the Dewey-Granby Oak, Dewey being the family name of the settlers who purchased in the 1700s the land it dominates. In fact, the Dewey family continued to own it throughout the generations until the end of the 20th century. It’s most distinctive features are its creepy pythonic branches, some of which are so long (sometimes as long as the tree is tall) that they have to travel down and along the ground for their weight to be supported, creating this weird jungle gym that’s almost impossible to capture with pictures. 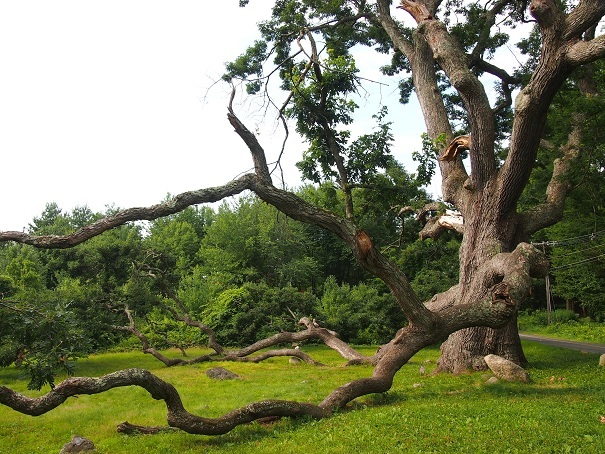 Were it not for the fact that is has similarly serpentine branches stretching toward the sky, it would seem like the tree is growing upside down. I absolutely love this tree. I found it grand and spooky and I want to rock babies in its branches and read large books at its base. Sadly, we saw some pretty extensive storm damage during our visit. If it manages to continue to avoid being broken by weather, then sitting so close to the road as it is, I can only surmise that its end will be equally as violent, with an automobile accordioned against its immense flank. But it will take as many of us with it as it can when it goes. 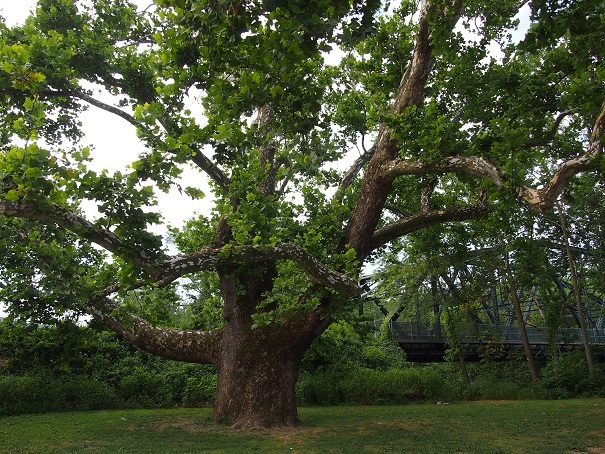 While not as aesthetically awe-inspiring as the Granby Oak, the Pinchot Sycamore is the largest tree in Connecticut and one of the largest sycamores in the country. The only measurements I could find for it online are about 15 years old, but at that time the trunk was a staggering 26 feet in circumference and it stretched to a height of 95 feet, while spreading its limbs for an average width of 140 feet. 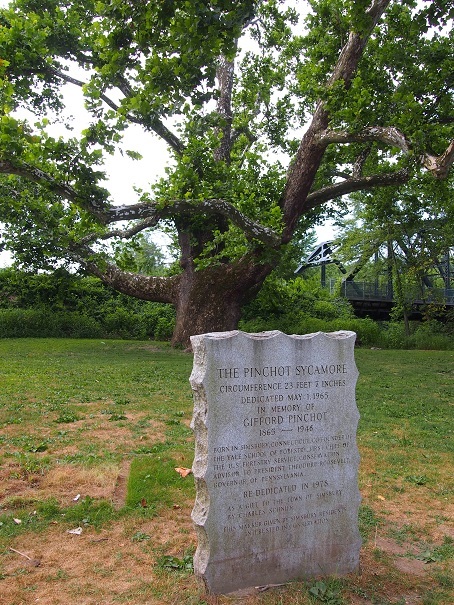 This tree is estimated to be between two and three centuries old and is named after Gifford Pinchot, a conservationist and forestry expert from Connecticut. Its colossal trunk is like the leg of some prehistoric beast, the kind that your eyes can’t make sense of up close, but then again there’s no real need to as you only need to be cognizant of the bottom of its giant foot when it smashes you. 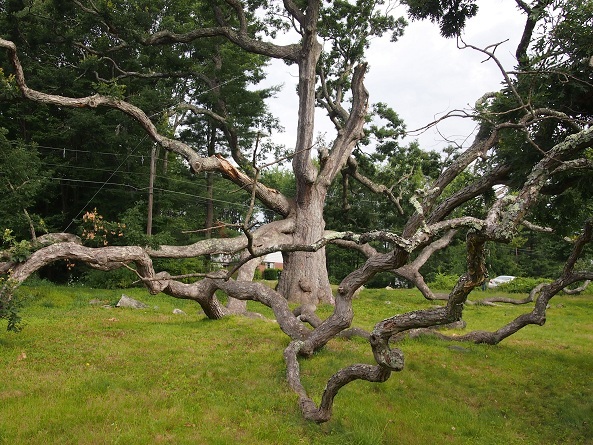 Four or five major limbs sprout asymmetrically off it at a point relatively low on the thick trunk, rendering it not so much majestic as, I don’t know, thick. It’s more elephant than elegant. Its shape changes drastically depending on which side of its column you view it. From one angle it looks like some enormous claw reaching from the ground, from another it appears almost humanoid with two arms uplifted like his favorite football team just scored. You can find this guy on the banks of the Farmington River in Simsbury Park in the town of Simsbury. On the other side of the intersection of Hartford and Nod Roads is a dirt road that descends into a parking where you can get up close to it. It’s not a very pretty spot due to the tree being back-dropped by an automobile bridge, but I guess if you’re an ancient giant tree, then you can be the 800-pound gorilla that sits anywhere it wants to. Well, that’s it. I’m out of synonyms for big. Although I will say that writing about trees feels like a real palate cleanser for some reason. Maybe it’s because five of out of my last six posts have dealt with dead astronauts, dead actors, dead animals, and dead pirates.